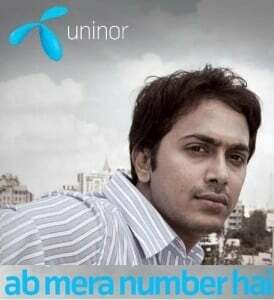 Going with the tag line “Ab Mera Number Hai” Uninor unlike other entrants is not storming the Indian markets with its value added services, but primarily wants to primarily differentiate with quality of their voice services. They hope their differential focus will pay off! Eyeing an eight percent market share by 2018, mobile services provider Uninor, a joint venture between realty firm Unitech and Norway-based Telenor, launched services in five telecom circles. One of the most recent entrants in the Indian market, Uninor , has a slightly different take on how to build up its business: It will concentrate on the development and delivery of voice services, while other new entrants look to differentiate themselves with data service. The company, which has licenses to start operations in all the 22 telecom circles of India, is now present in 13 service areas of the country. The company, which started operations in India in December last, launched services in Mumbai, Kolkata, Maharashtra and Goa, Gujarat and West Bengal this month. And the operator is moreover not fazed by the intensifying competition in the country’s wireless services sector. Ever decreasing average revenue per user (ARPU) and an increasing number of operators in India’s mobile market are not deterring Uninor’s management, which is taking a long-term view as it plans its operational rollout. One reason for Uninor’s seemingly measured approach to the market, which is growing currently at about 20 million new lines per month, derives from its main backer, Norway’s Telenor ASA , which plans to leverage its experience in nearby markets such as Bangladesh and Pakistan as it steers Uninor through the coming years. Uninor has been recently recognized as the ‘’Most Promising New Operator’’ in the Telecom Operator Award 2010 organized by tele.net, one of India’s leading telecom sector publications. The selection was based on a survey conducted by the publication with over 160 industry experts and professionals where Uninor emerged as winner by a strong margin. Uninor is presently focused on further strengthening its presence in the 13 circles and launching additional circles this year. “We are on our way; with a set of ideas, a unique way of doing business and most importantly, a philosophy that puts people first. Today’s recognition encourages us to get there even faster,” said UP East Hub EVP, Frode Haugen. The company which has stayed away from bidding for the recently finished 3G spectrum has said that the company will offer value added services like Internet access, over their 2G network. “We are still launching 2G and want to do it properly before we get new technology. Incumbents could also use 3G for voice. We have a congestion free network,” said Stein Erik Vellan, MD Uninor. Sprucing up its network infrastructure is also on the agenda of this company. It currently has 21,000 base stations and plans to increase it to 40,000. This includes infrastructure in new circles as well as for increased coverage in the circles it is already present in. The company has outsourced its entire telecom tower business to tower companies, and most of its 10 year contracts are with Tata Quippo. my uninor number 9043542661 No network coverage in chennai city Tamilnadu very worst. Despite the losses uninor has decided to stay and continue their operations. They have quite a no of subscribers now and their service is constantly improving. Moreover we can see some aggressive marketing from them which in end result would be beneficial for us customers.